In addition, the driver of the Gary Kauffman Racing/Weikert’s Livestock/Sandoe’s Fruit Market/Pace Performance/Big Cove Whitetail Trophy Hunts/Drop Of Ink Tattoo/Sweeney Cars/Self Made/No. 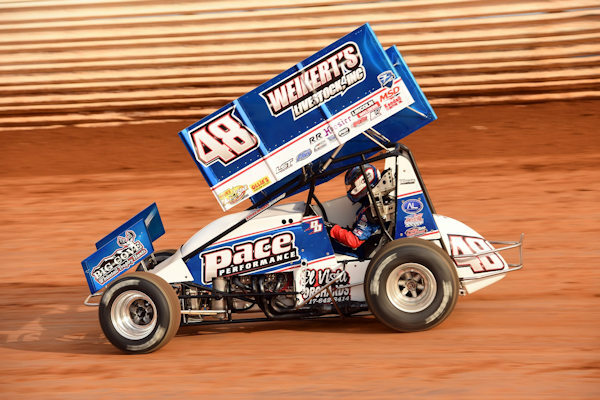 48 sprint car led 34 laps of All Star competition during the recent weekend; six laps at Virginia Motor Speedway on Thursday and 28 laps at Port Royal Speedway on Saturday. Ironically enough, a caution with two laps remaining served Dietrich his fate during each night of action. That trend ignited at Virginia Motor Speedway when yellow flags erased all potential for Dietrich to regain the lead from Cory Eliason in traffic. Dietrich was in hot pursuit of the California-native, but caution flags allowed Eliason to restart on a clear track in clean air. On Saturday at the Port Royal ‘Speed Palace,’ Dietrich led the first 28 circuits, all before losing the lead to Lance Dewease during a restart. 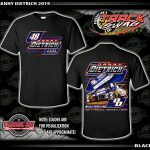 Danny Dietrich and Gary Kauffman Racing will continue their 2019 campaign with a pair of stops in Central Pennsylvania, first visiting Williams Grove Speedway on Friday, April 19, followed by a stop at the ‘Fabulous’ Lincoln Speedway on Saturday, April 20. 2019 Highlights: Finished third during Lincoln Speedway’s Icebreaker on March 10. 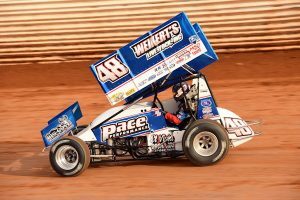 Earned victory at Lincoln Speedway on March 16, runner-up finish at Williams Grove Speedway on March 17. Earned victory number two during action at Williams Grove Speedway on March 29. Climbed from dead last to finish sixth at Port Royal Speedway on Saturday, March 30. Finished fourth at Port Royal Speedway on Saturday, April 6. Earned season win number three at BAPS Motor Speedway on Sunday, April 7. Finished second during All Star Circuit of Champions competition at Virginia Motor Speedway and Port Royal Speedway on Thursday and Saturday, April 11 & 13, respectively.